I've been bad again. I got a new toy . I have been seriously considering stripping out the foz, putting a cage in it and turning it into a proper racecar - but i kind of came to my senses.... and let someone else spend the big $$ and lose out when they sell to me at a very reasonable price. Last edited by housemusik on Wed Sep 05, 2018 5:45 pm, edited 14 times in total. Nice bro!!!! I've driven my mates and love it!!! Good to see that there's a surge tank already, because these are notorious for fuel surging around track when it's less than 1/2 tank. Interesting mod list. Alot of people will be screaming blashemy over that when done to a car such as a 22b. Ej25, RWD, Nissan parts. Lol. Fuk the haters. It will be a hell of a fun car to drive. I am a little bit excited. it will have to stay RWD for a while as i've bled the dollar well very very dry after this. Out of curiosity, what did they want for the 22B that you missed out on? 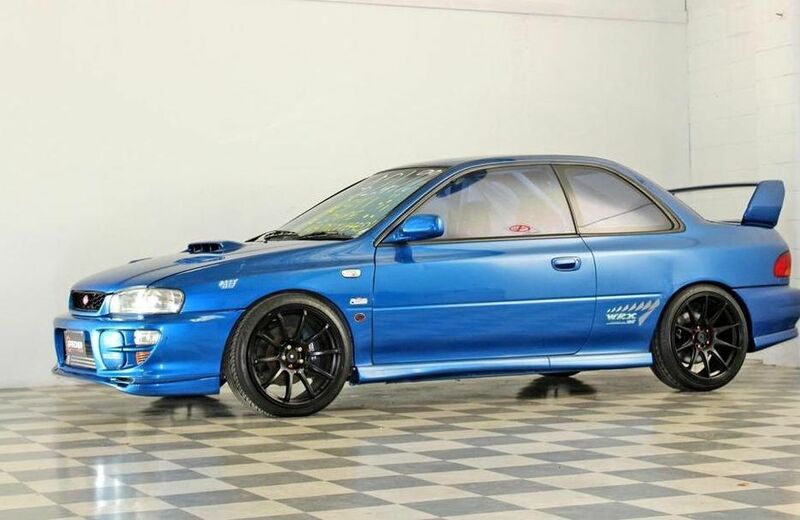 I am guessing the 22B was imported for motorsport use and not able to be road registered except through cams. he wanted 59k. It was a personal import, so road registered. It was not perfect, but still great condition for the price. the foz will always be the favourite child Mik.